The old lions that get displaced from their prides do not usually live long afterwards. This is because they do not get hunted for by their female ones hence end up dying faster. Lions can actually swim. This is a feature unique to lions in all the animals that form the cat family. If one removes the coat of a lion and a tiger, they would all remain looking exact that one could hardly tell one animal from the other. They are the closest family in the cat family. A lion keeps and rules over its pride for not more than three years. This is because other lions grow and take over the prides from them. 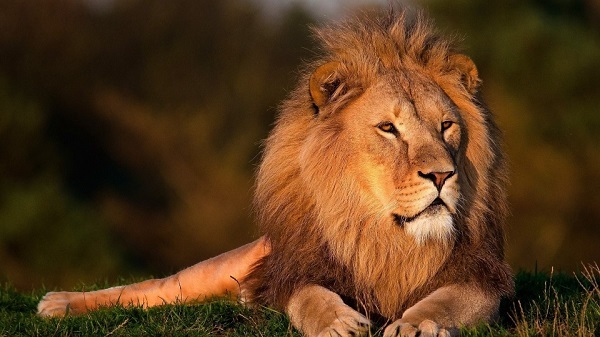 Male lions can grow to 10 feet long, especially those in Asia, while female ones can be nine feet long. He African ones get to 7 feet for the male and six feet for female lions. For those that keep lions in zoos, they constantly feed them with thick beef each day and feed them with bones about three times in a fortnight. Fining a female to mate with is difficult for the male lions. This is because the females are ready to mate for a period of just 4 days in two years. This is why one will find lions fighting over a female to mate with. One mating session between a male and female lion lasts for just a minute. They however mate for over 30 times in a span of less than five days just to increase the chances of the female getting fertilized. During the wars in Egypt, ancient Egyptians saw lions as their god since they thought they brought them strength and resilience. No other animal has been known to prey for the lion. The only animal that kills it is the human. Most people kill these cats as a sign of bravery of just for certain rituals.